1.) What do you know about Digital Marketing Course? 2.) What is SEO & why is it so important? SEO stands for Search Engine Optimization. SEO is a technique to increase the quality of traffic to your website. This is possible through organic search engine results. The importance of SEO starts with the desire of the companies to gain more traffic for their websites. 3.) What is responsive web design? Responsive web design is a new approach for website design that allows web pages to display different types of devices, such as desktop, mobile, and tablet. This process helps me to compose a mix of flexible layouts, grids, images, and CSS (Cascading Style Sheets) to help with media queries. 4.) What are on-page and off-page optimization? On page optimization makes websites stand out in search engine rankings. On-page, optimization is changes done on a live web page. Off-page optimization is changes done to a website offline. These changes result in positive search engine rankings. 5.) What do you know about AMP? AMP (Accelerated Mobile Pages) is a Google-friendly open-source library that provides a great opportunity to provide you with the flexibility, smooth, and easy to load web pages. AMP, I have been able to provide mobile-friendly web pages for publishers and marketers. 6.) What is a Search Engine? A search engine is a web-based software system developed to find and search relevant information on the World Wide Web. Search engines usually respond to questions filed by users and give them a list of search results. 7.) What is Webmaster Tool? Webmaster Tools (also called Google Search Console) is a free service from Google. These are some of the basic advantages of using webmasters. g.)Name of a few search engines. 8.) What is the Spider / Crawlers? Most search engines use spiders/crawlers to index your website. Spiders have hyperlinks to collect and search for textual and meta information in search engine databases. 9.) Mention some of the useful Digital Marketing tools? 10.) How does crawler/spiders move from one website to another? Crawlers/spiders follow links which take them from one website to another, and as such, they search for your relevant information. 11.) What is a Domain? Domain Name or DNS (Domain Naming System) is a nomenclature that allows us to identify a website on the Internet. Talking about any website, all backgrounds are linked to some IP address. An IP address (Internet Protocol Address) is a numerical address that tells the browser where the website is located on the Internet. 12.) What are the areas to utilize your keywords to optimize website ranking? The robots.txt is a text file used to provide search engine crawlers instructions. These instructions are given for indexing and web page caching, domain, directory, or any file from the website. 14.) 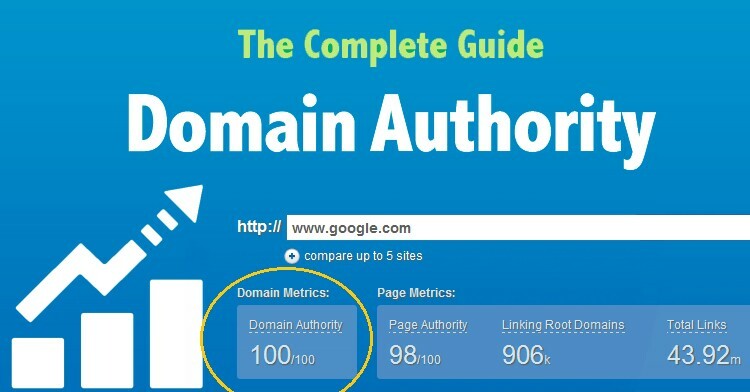 What is the domain extension? 15.) Who is called “Bad Links”? 16.) What should one do to avoid the penalty? Avoid using words like “link,” to hypertext and give a link to your website. Crawling or web crawling refers to an automated process through which search engines filter web pages for proper indexing. Web crawlers go through web pages, search relevant keywords, hyperlinks, and content, and bring back information to the web server for indexing. Since crawlers such as Google bots go through other linked pages on websites, companies make sitemaps for better access and navigation. 18.) How can PageRank of a page be increased? Any page can be improved from PageRank backlinks building. Apart from this, SEO is also very important for the ranking of your page. 19.) Name some digital marketing channels? Indexing starts when the crawling process gets over during a search. Google uses crawling to collect pages relevant to the search queries and creates an index that includes specific words or searches terms and their locations. 20.) How can the loading time of a website be reduced? The loading time of the website depends on some things. How many images or videos? HTTPs (Hypertext Transfer Protocol) can be used to reduce multiple requests by using CSS sprites. Cache (data/files stored in your RAM) makes the Speed Reduce of your website. Keeping your cache clear is important for your website speed. 21.) What is PPC (Pay Per Click)? The full name of PPC is pay per click. As the name suggests, pay per click means pay per click. It is an internet marketing model in which the advertising industry gives some funds for every click on the ad. This is a method you can use to buy some Visitor for your blog, and you pay for the advertising company instead of that visit. 22.) Difference between Direct Marketing and Branding? In Direct Marketing, I will target only those customers through which I can get sales. Direct Marketing is directly proportional to potential customers. In branding, I will try to figure out those ways through which I can get more branding. Like mass reaching, email marketing, etc. Remarketing is a process to show ads again and again to the same customer who visited our website. It helps us to increase our branding. Google Adwords: Google Display Network use to create Remarketing ads. 24.) What is Off Page SEO? Off-page, SEO relates to the other aspects that influence the search ranking of websites on the Search Engine Result Page. 25.) What is On-Page SEO? On-page, SEO refers to all the activities performed within the websites to get higher ranking and more relevant traffic from the search engines. 26.) What is a long tail keyword? Long tail keywords are phrases containing over 3+ words that make search results highly specific. 27.) What is Canonical URL? 28.) What is Google Adwords? “Adwords” is Google’s online advertising service, where advertisers pay money and Google advertises their business to the right people. 29.) What is SEO friendly URL? Your URL should have meaning. It should be small, it does not have more than 2 -3 search terms and its length is more than 5 words. 30.) What is XML Sitemap? XML or Extensible Markup Language is primarily created to facilitate the functionality of the search engines. 31.) What is Image Alt Text? 32.) What are the SEO Techniques? 33.) What is SEO Keywords? According to SEO Keywords, keywords are the word or phrase which is used to describe the web page content. 34.) What are the internal Links? In website posts and web pages, we add links and other links to other web pages of your site, which are called internal links. 35.) What is keyword density? This is the most important factor in SEO. You need to have percentages of keywords and phrases. 36.) What is LSI Keywords? 37.) What is SEO Rankbrain? RankBrain has an account for Artificial Intelligence (AI) system that helps Google to provide search queries via Google’s algorithm program. 38.) What is Bounce Rate? Bounce rate is the number of visitors in the city that has a place to visit and return to the site. Simple words visitors spend time on your site. 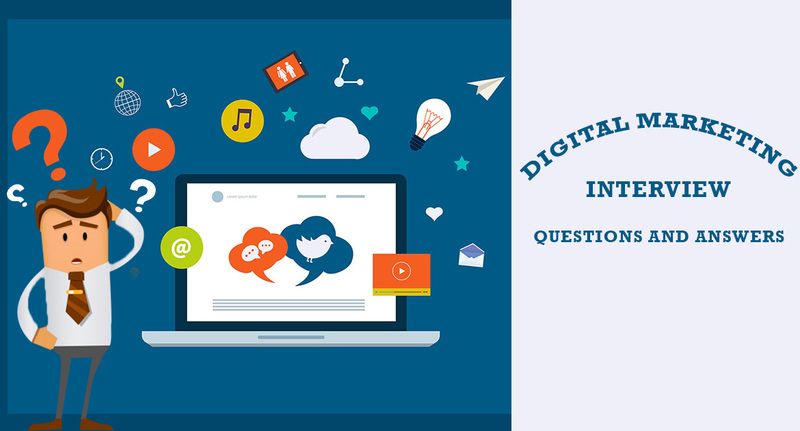 If you want to become Digital Marketing Experts w3webschool Kolkata most trusted and low-cost Digital Marketing Training center in Kolkata feel fee call us for demo class before admission. Everything is online in today’s digital age, whether it is buying a vegetable or buying a TV fridge. Everything can be done in an online order. In such a situation, the person who was left behind in this race could not take his business much further. Even small businessmen are in the race to do online business, some are promoting their business-related social media pages, so some websites have started attracting customers. A status symbol has also been made in your online presence today. People call your name trusted only when they see you on Google. It is not necessary for everyone to have knowledge of Digital Marketing, nor does every person want to spend some money making the website. In this way, Google has given everyone an option as a Google My Business in which you can list your business and customers can easily find you online. If you understand Google My Business in easy terms, then it is a Google-launched tool that you can list your business online through which your customer can easily find you and information about you like – Contact Number, Address, Location is easily found. Along with this, you can also add some pictures related to your business and product video. If you have a website or page, you can also add it to it. If your business gets verified on Google business, then NAP details along with information about customers about their products and services, and can also upload their shop, business, product image, and video. 1. You can reach more people than you can by staying offline. 2. People know about your business. 3. People know you and your product easily. 4. You can easily share a new product with a click in one click with customers. 5. With the help of this tool, you can also manage your business online as well as interact with customers. 6. If you have a business website, you can increase local traffic through Google My Business. 7. If you offer home delivery service then you can get an order from here via phone number. You do not need any special techniques or rocket science for Google Business Listing. You can do Google Business Listing only with the normal Google ID. For this, you have to search Google My Business on Google. After which you log in to your account. After logging in, you will have a choice of Create a New List, which will give you details related to your business by clicking on it. After giving all the details, you have to verify the account, which takes one to two weeks and a letter from Google is sent to your address which you have listed. You must verify the account after which your business will be fully listed and will be called Reputated Business. If you want to apply for Google My Business, then you should have NAP detail. Physical Address – to which the electricity bill, postcard is coming. If there are websites then we can also be added. If not then there is no problem even then. If you are serious about bringing your business online and are making every effort to reach customers, Google My Business as well as create a Facebook page and share some pictures related to their products from time to time. Give your profile the name of your business. Correct details such as Contact Number, Address, Location is very important. Youtube is the world’s second largest search engine after Google. So it is very important to get a high ranking on Youtube. Given billions of views per month on youtube, you get a good chance to get huge traffic from Youtube. However, there are basic points you need to keep in mind while creating, uploading and managing your video. 1. Longer videos win. Youtube considers total video view times as the most important factor while ranking it’s search results. 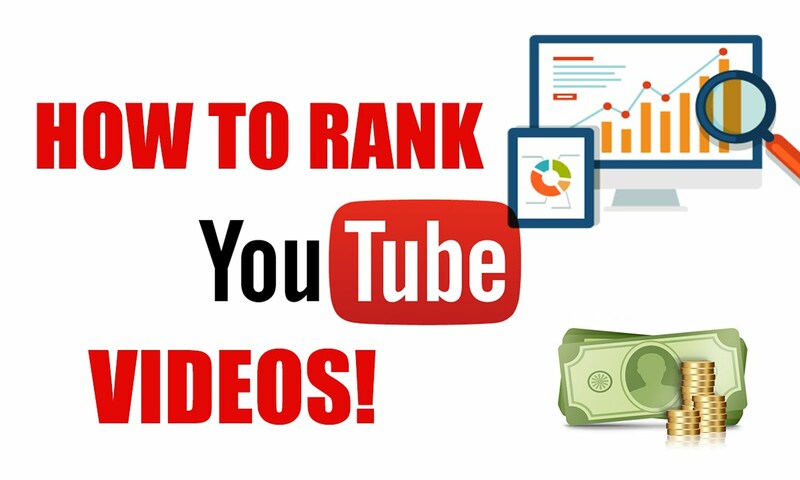 So longer your video is compared with others, chances are your video will rank better. 4. Also if your video has voice over, must use keywords you are targeting in those voiceovers to increase your ranking. 5. HD Quality wins – you can use your phone, but a nice HD video camera makes a big difference. If you’re recording your computer make sure you check the settings for optimal video + audio. 6. SAY Your Keyword – verbally saying your keyword a few times is like keyword density for videos. Say it naturally, don’t just say it to say it. Including partial matches is also good. 7. Get To The Point – edit out ALL unnecessary pauses (I use Screencast-O-Matic) and be concise. I am super picky about this and noticed a huge difference in my video’s engagement. 8. Cards – cards are the little I (information) button. These can link to related videos, an associated website, polls, donations, or another YouTube channel. They are mobile-friendly (unlike Youtube’s outdated annotations) and you can add them in YouTube’s video manager. Long descriptions are great for Youtube video SEO and give you a place to add timestamps, useful links, and an overall summary. The text is super important for ranking any type of content.